When Connor came home yesterday, he let me know that his class was going to be working on a boat project today. The ask was to find materials at home to send in (and share) so the kids could build boats and test their ability to stay afloat. He said he had some Mountain Dew bottles from his dad’s and we thought it would be fun to bring in his flame-designed duck tape to pimp it out add some flair. I dug through our recycling and found one of my spinach containers and washed it up so it could serve as the main deck. He mentioned that another friend had brought a ton of egg cartons (thanks, Leah’s mom! ;)) and he was going to put one on the deck so people could have seats. So accommodating. He was so excited to get to school today. I knew that whatever he came up with would be awesome because when the kid is excited? Magic happens. 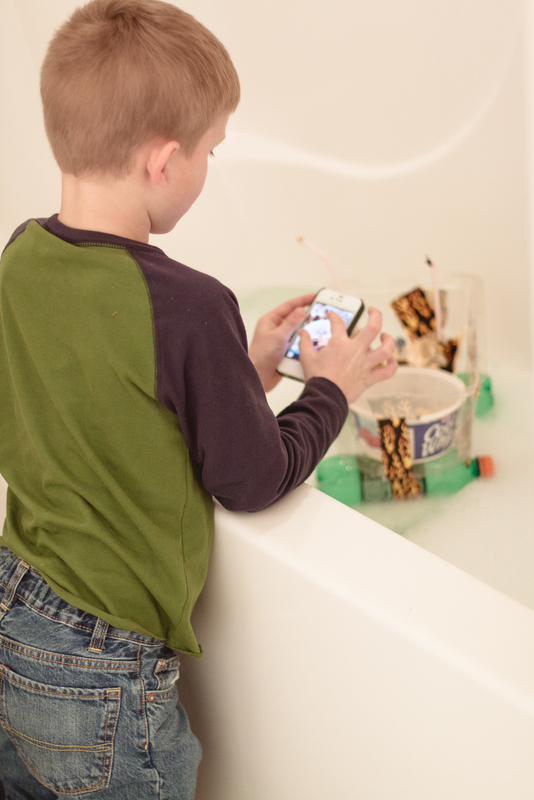 I asked him to make sure they took pictures of their creations but then was thrilled that he brought his boat home. It.Was.Awesome. After dinner (and homework), he really wanted to show me how well it floated. 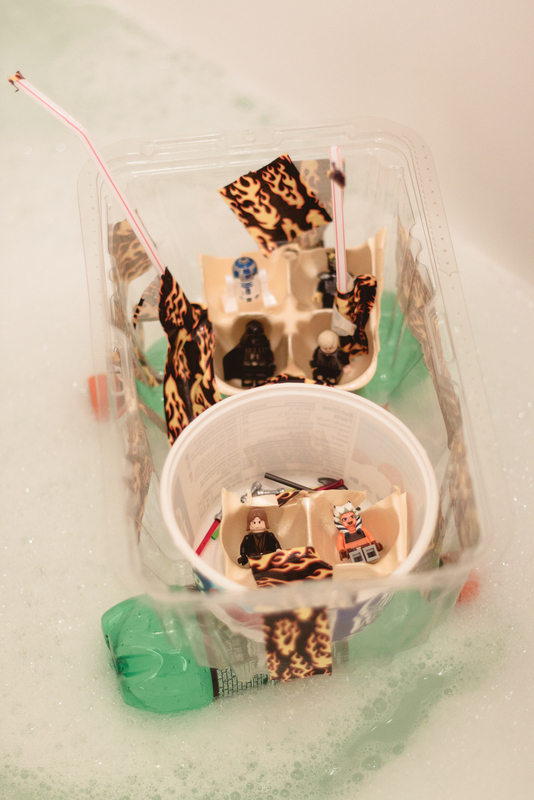 I filled up the tub (and added bubbles, duh) and he found passengers. 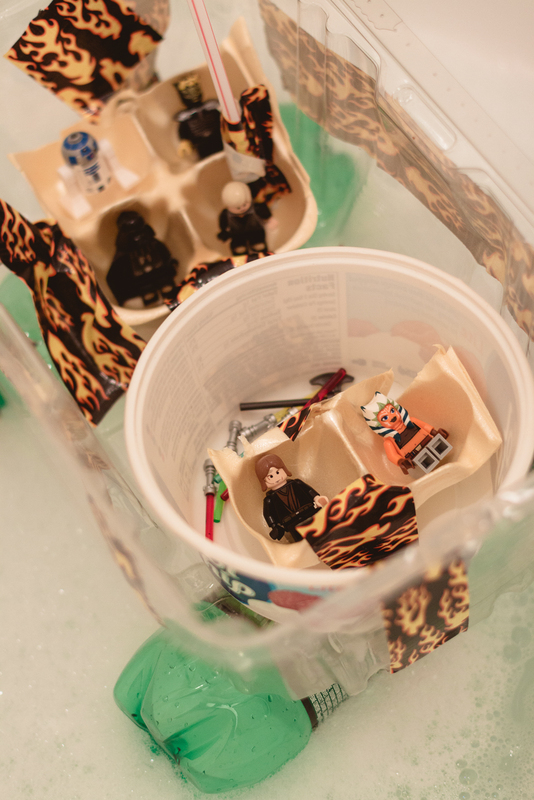 It was only fitting that Star Wars Lego minifigures would take the ship for a test spin. He saw me taking pictures and I told him we should get a shot for his dad so he grabbed my phone and started shooting away. He was so proud of his boat. After he took (several) pictures, he decided to create a little video so he switched the controls and started filming. It reminded me so much of when my friends and I would make movies when we were kids (with giant camcorders instead of handheld devices, of course). We acted goofy. So did he. 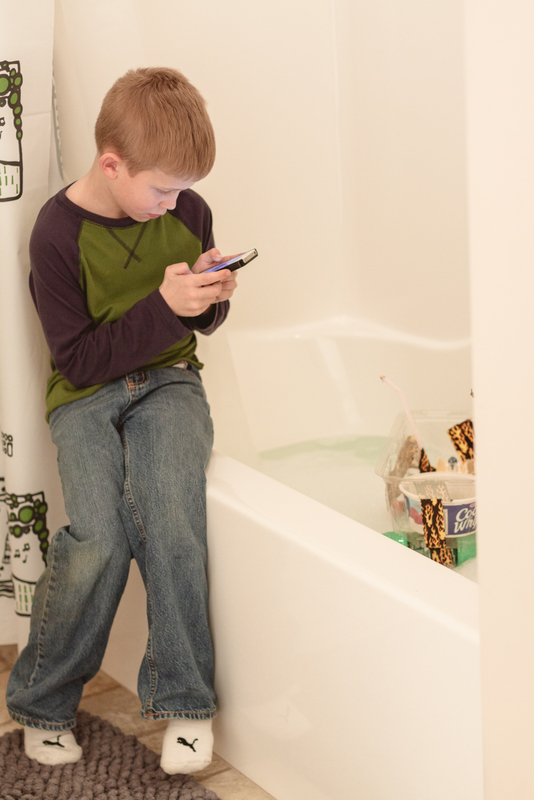 He flipped the phone around so he could film his face and then back to the boat and then … the phone fell in the tub. I quickly snatched it up and said ‘ohemgee’ under my breath and he quietly sat while I rushed the lifeless phone into the kitchen. For a while, the sound wasn’t working so Connor, forever the optimist, said it was good we could at least still play games on it. I told him that without sound a phone becomes a little less useful. I can’t listen to music for crying out loud. While I CPR’d the phone, he decided we should find another game to play. You know … so we could pretend like nothing happened because the whole boat thing was so ten minutes ago. Regardless, I told him I was so proud of his imagination and creativity. That spinach tub was on its way to recycling heaven in just a couple short days. Now? It’s yet another form of transportation for our favorite Jedi Order friends. The good news? 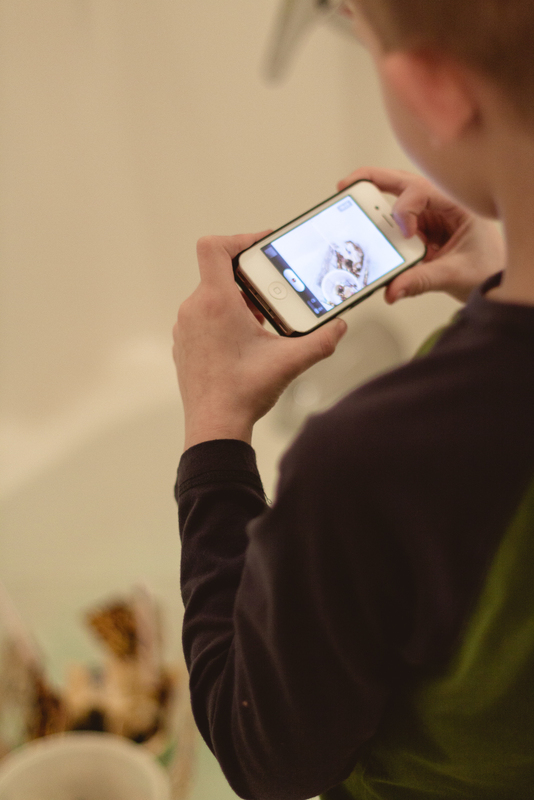 My phone is as seaworthy … I think, so far …as his boat. This entry was posted in the best part of me and tagged connor, projects, school by staci. Bookmark the permalink.